This past week I haven't been making any card or CD sleeve or any other project. 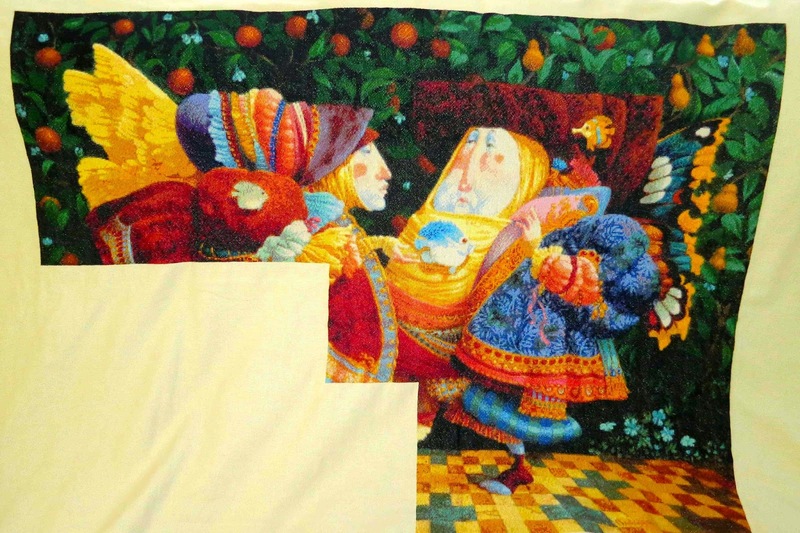 I just wanted to relax and do my cross stitch project. I have been working on it for the past 5 years (not all the time, of course). Well, what I meant was that I started it 5 years ago. 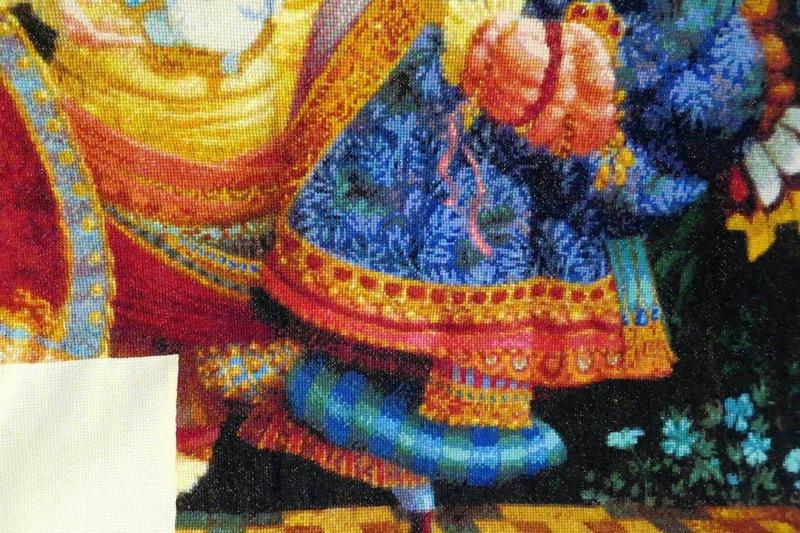 The image is from one of the pictures belonging to James Christensen named Converstation Around a Fish. The project measures almost a meter wide. And it is even more beautiful in person. 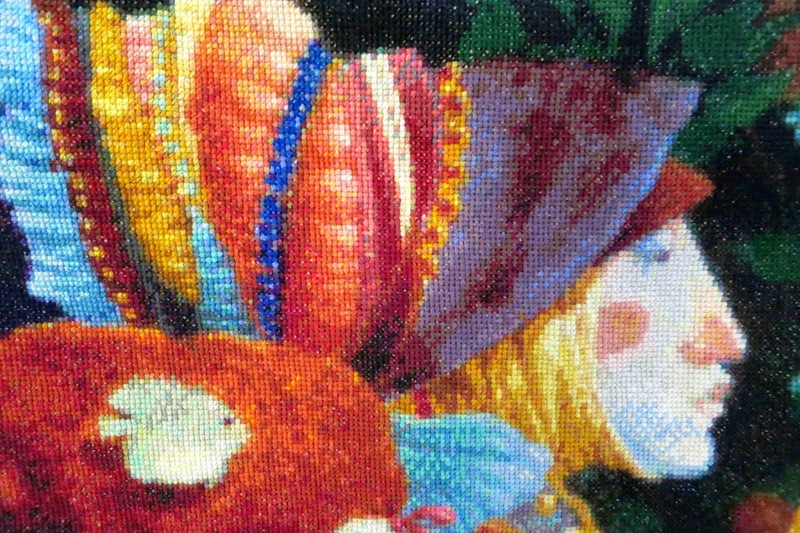 I hope I can have it finished in 2 years, but there is so much to do and cross stitch takes so much time...I leave you some pictures with the details so you can see stitches and how many colors are in so little space.